Much ado about Nothing: Every little thing you do is magic. Every little thing you do is magic. 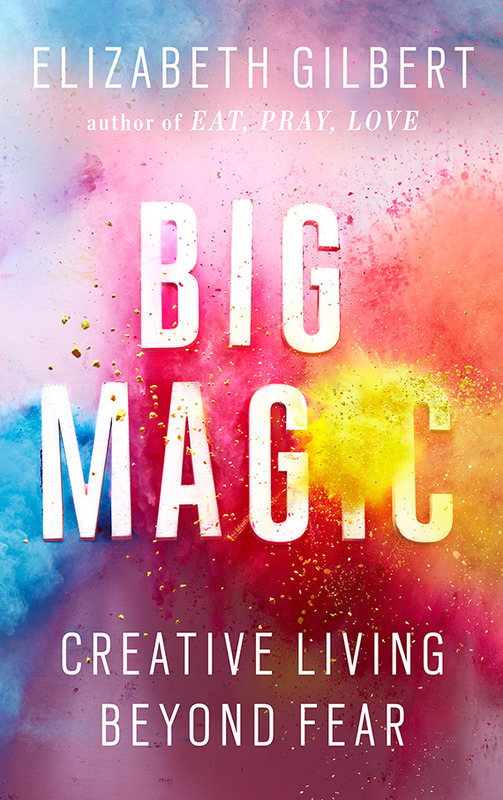 Today I was listening to ‘Big Magic: Creative living beyond fear,’ and that book struck a cord. It came at exactly the time I wanted it to, the time when I was making excuses not to participate in Nanowrimo or not to write frequent blog entries. I hadn’t written a blog entry in so long, so why bother now? But that’s when Elizabeth Gilbert (she is the author of the aforementioned book by the way) came into my life and told me to shut up and just do it. Not quite so rudely perhaps. But there were so many things she said in her book that I would like to share with you, so may be you like me, may find some inspiration to write, sing or do anything that is creative. I am going to start with this anecdote that she mentions about ideas and how they want to be realized, or they just move on to find other people who can give them more attention and treat them like they deserve to be treated. While searching for an idea about her novel, she gets inspired by a story her love told her, and sets forth to work on that idea. While working on it, life gets in the way and what she was working on turns into something else instead. Later on in her life she meets Ann Patchett and when conversing, finds out that she is working along the similar plot line she was ages ago. One is convinced to think of this as baloney, but it mentions another acclaimed author, I doubt she would have put it there if it weren’t true. This is what she means by ideas wanting to be ‘manifest.’ You don’t treat ‘em right they walk out faster than you can say ‘Don’t go!’. She talks about how when you are lucky enough that an idea strikes you, grab a hold of it, write it down, think about, become it, make a full commitment. It does not matter if it has been done before, has been done in a better way, or does not make sense to be done in the first place. Why this inspires me is because over the years I have had so many ideas about stories, articles, even blog entries that I have just completely ignored always making one excuse or the other. And as always, someone has ended up doing all of these. This is when she gets to her point about making time to live creatively. While you may be getting the vibe that she talks exclusively of writing as a creative means, but its not true. 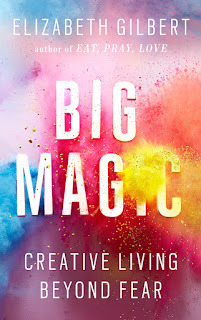 Creative living according to Gilbert is anything that fascinates you, makes you braver. Back to the making time bit. This is the part that I loved and found so relevant to me. I often blame my extensive school work load, my house chores or my general routine not to write, even though writing is something that makes me happy. 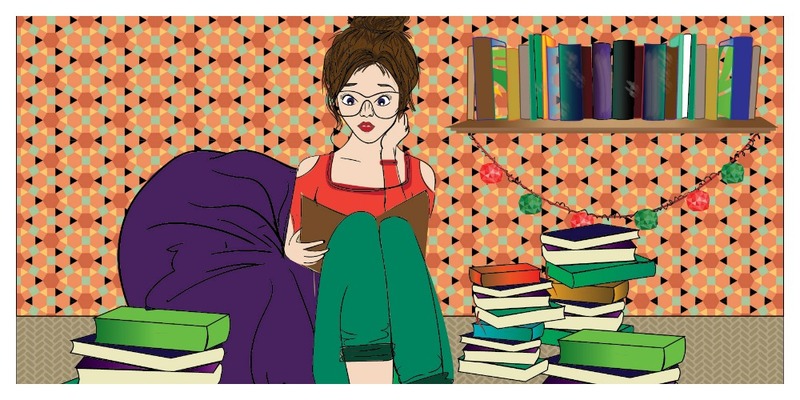 She talks about how the process of writing novels for her is not just some bout of inspiration and working for three days straight, but a methodical exercise with deadlines and finish lines. She has a routine that follows and she just sits and writes. Inspiration cannot always linger on your head, and if you keep waiting for it, it will never come. This is another thing that keeps me from writing, ‘I don’t feel like it!’. How do I know I don’t feel like it if I don’t even attempt to? Then she says that it is not important that your work should save someone’s life or change the world. And she’s right. I mean it would be great if something you created brought about this ginormous change, but it does not have to, and neither should you feel pressured to create something that does. She mentions Harper Lee and the fact that she did not write more books, because she was burdened by her own creative work. She was scared that what she would write could never compare to To Kill a Mockingbird, and look where we are now. Neither does your work have to be original, or something that hasn’t been done before. I mean, when every other person is unique in their own way, just believe that what you create will be so too. She says a particular line that I love, ‘If you keep defending your weakness, you get to keep them,’ (or something like that, pardon me if I am misquoting). Creative living then really boils to down to if you are brave enough to let the world know what is hidden inside you. It does not matter that no one might read it or people will criticize it. Just put it out there, for the heck of knowing that you created something. I am not saying that you should read this book, or take what this article is saying as something out of a Holy book. I don’t think this book has to, or even will inspire everyone. Heck, I am not even a fan of Gilbert’s work. I did not like Gilbert’s ‘Eat Pray Love,’ at all (in fact, if you scroll all the way down you can read all about my discontent with it). All I am saying is, just go out and find your inspiration because it hides out in the weirdest of places.